Memorial Day is just around the corner, and that means that summer is officially here. (Does it feel like summer where you live? We have had such a rainy spring that I'm still wearing sweatshirts most days.) There's just something about summer that calls for a little romance, and, since I love a seasonally appropriate read more than most, that's what I've got for you today. Don't these covers just scream summer? Pick any one of these books and settle in for a romance-filled summer. Ever since her mother passed away, Rose Darrow has done everything she can to keep her family's farm running, sacrificing her own plans to do so. Bodhi Lowell is the Darrow's hired help for the summer, and he has his own rough past. At first, Rose is resentful of his intrusion, but soon the two can't deny their attraction. I am a sucker for a good setting, and A Walk in the Sun has it in spades. Michelle Zink paints the Darrow farm with a soft rosy glow and transported me to another world. The pacing in this novel is fairly sleepy, but, to me, that set the tone perfectly for both the setting and the romance. I read it in two sittings. 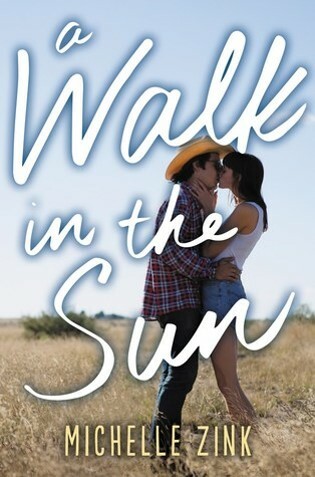 A Walk in the Sun is out May 3, 2016. Review copy from Edelweiss. If you've fallen in love with Emery Lord's newest book, When We Collided, might I suggest you give her debut novel a go. 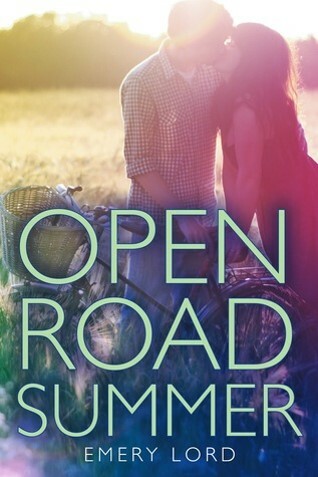 Not only is Open Road Summer wonderful, but it's also a perfect summer read. Reagan's spending the summer on tour with her best friend Dee, otherwise known as teen country star Lilah Montgomery. It's suppose to be a girl's only summer, then a PR disaster forces the tour to bring on Matt Finch, formerly of the Finch Four, to open for Lilah. I absolutely adored Emery Lord's debut novel when I read it in 2014. 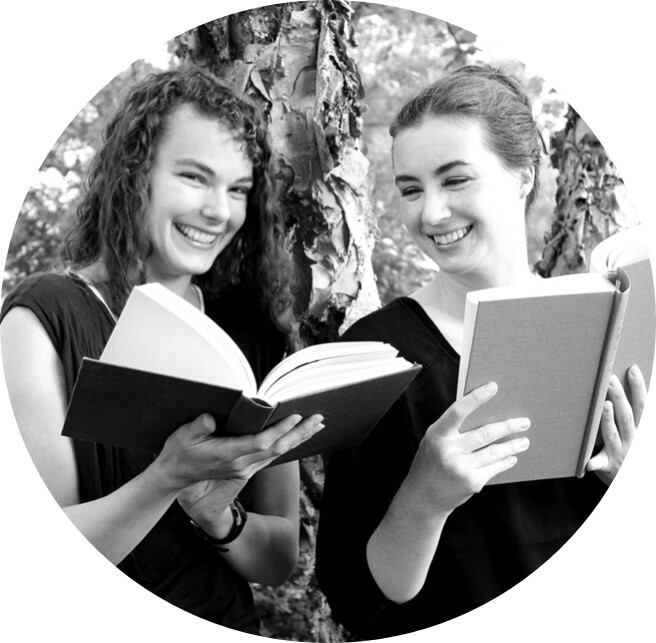 This book excels at both romance and friendship. Matt Finch is pretty dreamy, and Reagan and Dee have a real friendship that's deep but not idealized. Summer Days and Summer Nights is the perfect seasonal read. With stories by Leigh Bardugo, Cassandara Clare, Jennifer E. Smith and many more, there's something for everyone in this collection. The tales explore all types of summer love from first loves to lost loves and breakups to makeups. There's also a good mix of straight and LBGTQ relationships. I especially enjoyed the wide range of settings and genres in this collection with both contemporary and futuristic settings and stories that fit squarely in the horror and paranormal genre. Stephanie Perkins and Libba Bray's tales were among my favorites. 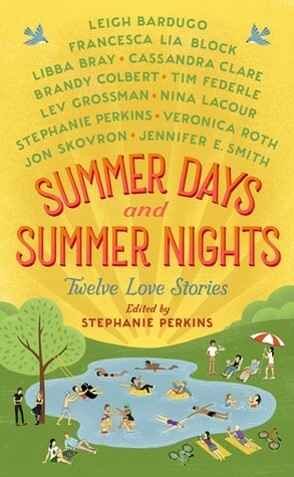 Summer Days and Summer Nights is out May 17, 2016. Review copy from NetGalley. On the eve of her annual summer trip to visit her mother in Hawaii, Sloane McIntyre learns her best friend and her boyfriend have betrayed her. 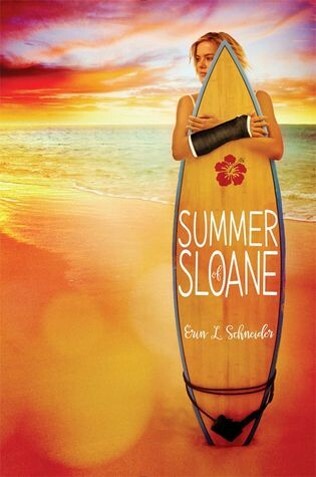 One broken hand and broken heart later, Sloane arrives in Hawaii determined to escape the mess she left behind. Finn McAllister proves the perfect distraction until Sloane realizes her distraction has grown into something much truer. The Hawaiian setting, the warm, summery cover, and the promise of surfing in Summer of Sloane were too enticing for me to pass up. I also really liked that Sloane was a competitive swimmer. This is Erin L. Schneider's debut novel, and I'll be interested to see what she does next. Summer of Sloane is out May 3, 2016. Review copy from NetGalley. Wilamena Carlisle's mother was an astrologist, and, after her death, Wil became obsessed with the zodiac. This summer her planets will align, making it the perfect time for her to find love. If she doesn't seize this moment, she's going to have to wait another seventeen years. Soon Wil is entangled in a love triangle with one boy who perfectly matches her astrological tables and one who does not at all. Darcy Wood's debut is a cute summer read, especially if you are at all interested in astrology. I enjoyed Wil's quirky character traits and understood her desire to honor her mother's legacy, even if it did get a little out of hand. 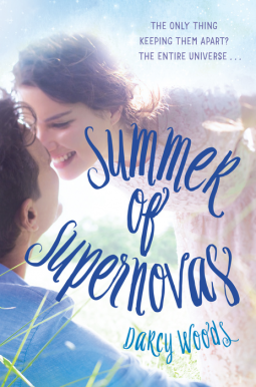 Summer of Supernovas is out May 10, 2016. Review copy from NetGalley.